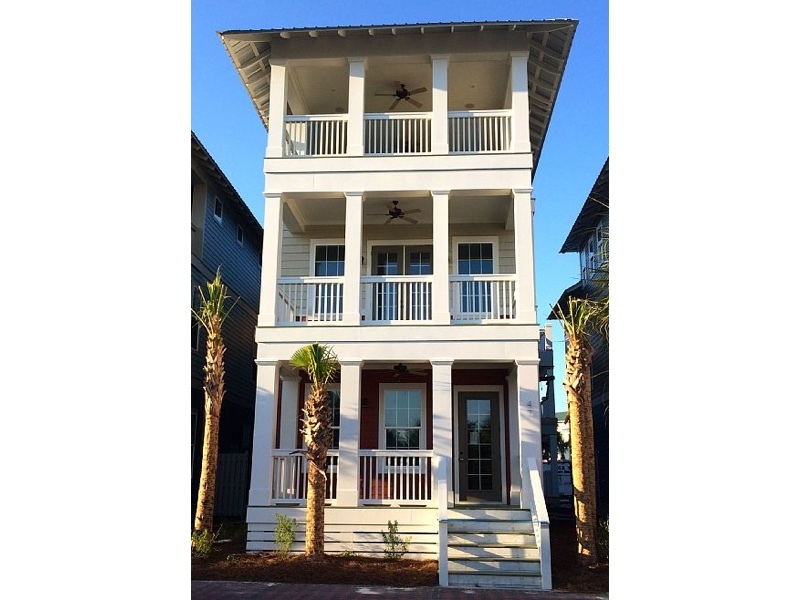 This is Beach Heaven, a new three story home in beautiful Seacrest Beach. This large 2500 square foot home with Gulf views is a wonderful place for the entire extended family to get together for a 30a beach vacation. This newly constructed home features all new furniture, stainless steel appliances, granite counter tops and super comfy beds. Beach Heaven is conveniently located in the front of the Seacrest Beach neighborhood, close to the 12,000 square foot pool, just across the street from the sugary sands and emerald waters of Seacrest, and steps away from the restaurants and shops of Seacrest Village. Beach Heaven’s main attraction is the oversized covered 3rd floor deck which features Gulf views, beautiful sunsets, an outdoor kitchen, and an outdoor TV to watch the game. Its the perfect place to eat, unwind and relax after a day at the beach and pool. Beach Heaven has 4 bedrooms each with its own full bathroom and new Smart TV. The beds all have super comfortable foam mattresses and new furniture. The third floor features a bonus room with a pull-out sleeper sofa. Beach Heaven can accommodate up to 13 guests. To book direct please email: beachheaven47@yahoo.com.